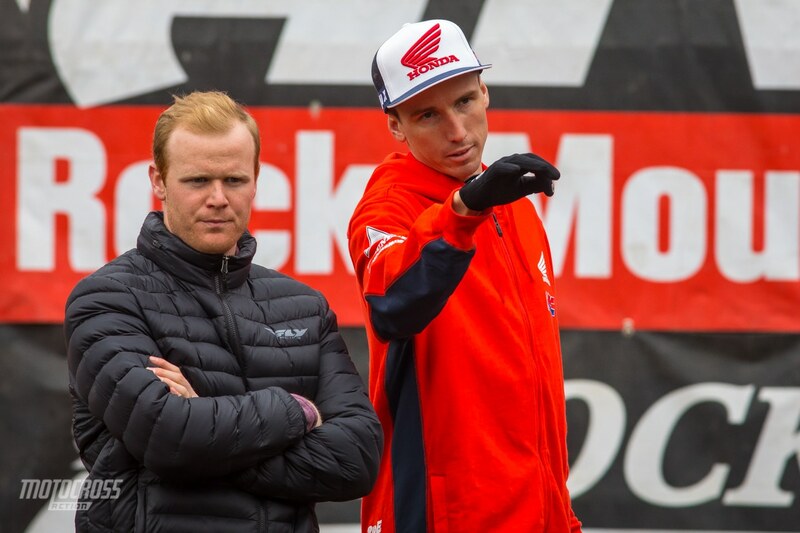 Trey Canard and Cole Seely walking the track together at Anaheim 1. Trey has been testing for the factory HRC Honda team during the week and going to some of the Supercross races to help out Cole Seely and Ken Roczen. 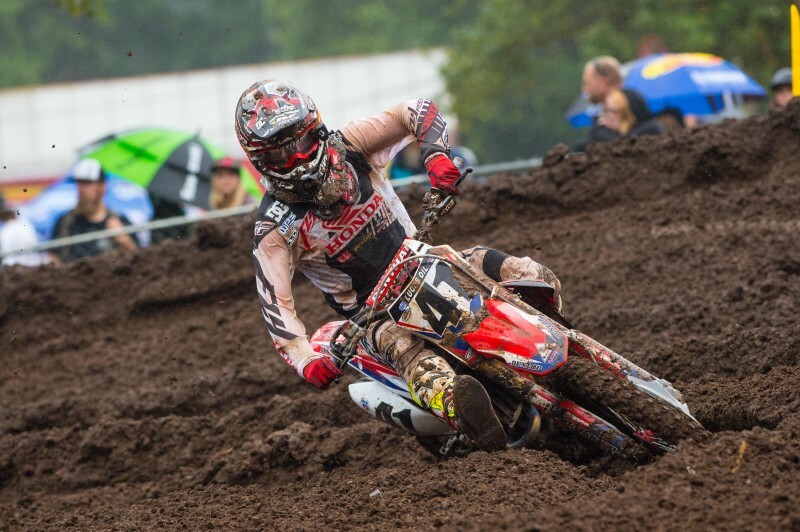 I was fortunate to be attending the Millville National in the summer of 2017 when Trey Canard announced his retirement. Certainly, it was not something I was hoping to hear, but it was highlighted by Trey’s enthusiasm for the future. While Canard had a career often sidelined with injury, he was still able to earn a 250 Supercross Championship, 250 Outdoor National Championship, and a handful of 450 Supercross, and motocross wins. 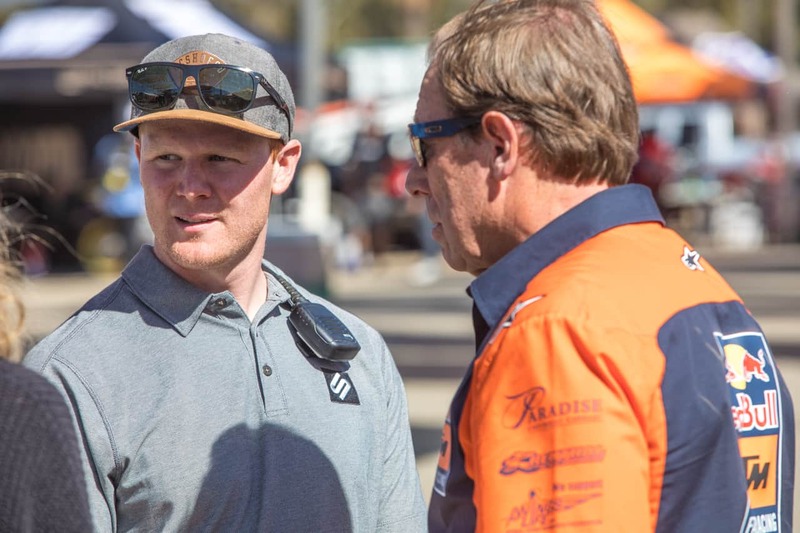 It was shortly after his retirement that Trey embarked on a new project he titled “Racing Standard.” With this project Trey was focused on rider safety, and he began hitting the 2018 Supercross series in efforts to improve safety. Unfortunately, Racing Standard never truly gathered everyone’s needed support, and somewhat fizzled. Now after some time, Trey found himself back at team Honda where he is helping the red riders get back to their winning ways. 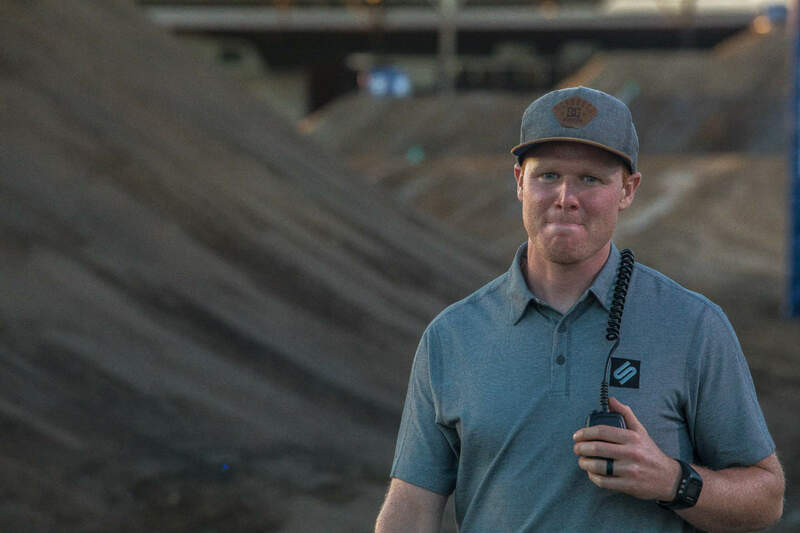 We caught up with Canard a few days after the San Diego Supercross, where we felt compelled to get his thoughts on “Lime gate”. 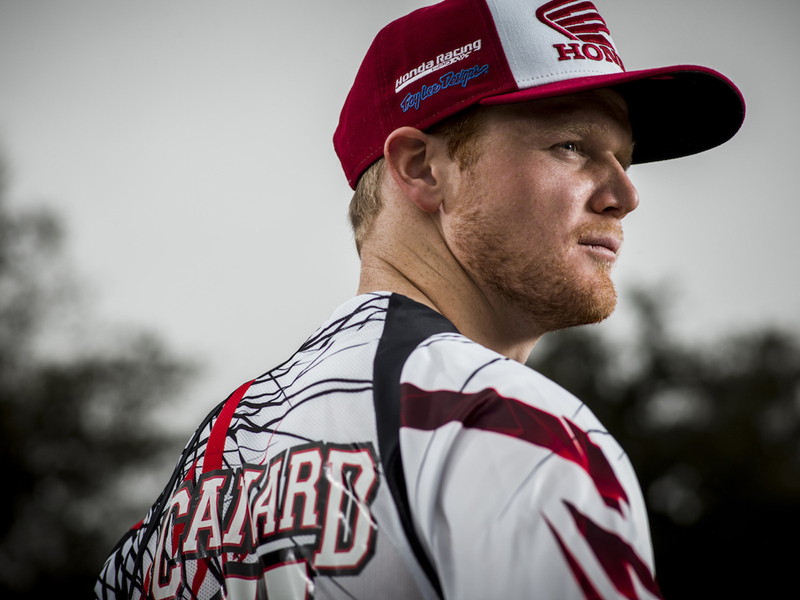 Trey Canard is known for his picture perfect style, we love to watch him ride. TREY, I DIDN’T INTEND TO START THIS WAY, BUT I KNOW YOU HAVE BEEN TRYING TO MAKE TRACK SAFETY A KEY CONCERN. WHAT ARE YOUR THOUGHTS ABOUT THE LIME ISSUE AT THE RECENT SAN DIEGO SUPERCROSS? It has been an issue in the past. This was obviously far worse, and I think that it was pretty easy to say it was due to the water. I am not an expert with that type of thing, but that would be the only variable that has not been at the other races. It has always really hurt the bikes. I have not ever heard of it affecting people’s skin, so maybe it was the water that made it worse. This is part of the reason that Ken Roczen was in such a bad place with his original injuries; if some of the lime had gotten into the compound fracture he had before it could be very dangerous. It is a difficult position though, if you do not have that drying agent, maybe the track is worse, and maybe there are other problems that come from that. I don’t know what the answer is, but if I am being honest, I am against lime . Maybe it is not a skin rash, but in some places where they used it before in our community, there was more of a dust thing, so you are inhaling it. I don’t know what the answer is because it has helped in some ways, but it has also done damage. It has been an issue in the past, just not this big of an issue. 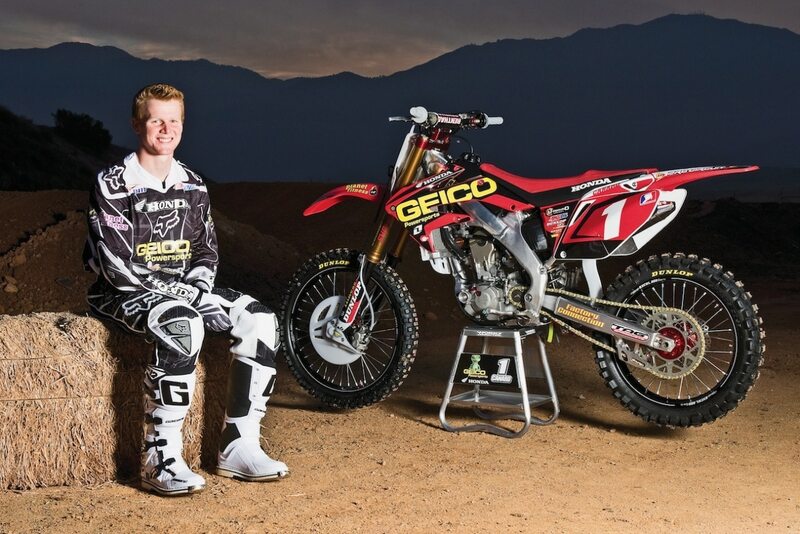 Trey Canard was hanging out in San Diego for the lime infested mud race. IT IS PROBABLY DIFFICULT TO REALLY POINT THE FINGER AT ONE PERSON OR ONE ENTITY. Yes, that’s true, I was talking with someone from the organization and they are obviously not trying to hurt people, that was never the intent. There was definitely a mistake, and things happen that way. Mostly what everyone is concerned about is that there is no way of making any type of change. These things happen from time to time and everyone gets very upset. There is lots of talk, whether it is from social media, just general media or online and then two weeks later it has passed by and no one really cares anymore. The riders seem pretty powerless in that way, as does probably the racing community as a whole. When there are problems, there is nothing they can do about it. Honestly a little bit of that comes back on the community because if we truly want to make change, we all need to stand together. I think there is a lack of commitment in that way, when it comes to making changes. It is a very difficult thing to talk about, especially when there are so many different opinions or so many different ideas. Very few people are willing to come together, and be tolerant of other people’s ideas, or even be in the same room. Really what needs to happen is that the communities come together, and I don’t know if that is really going to be something that happens. 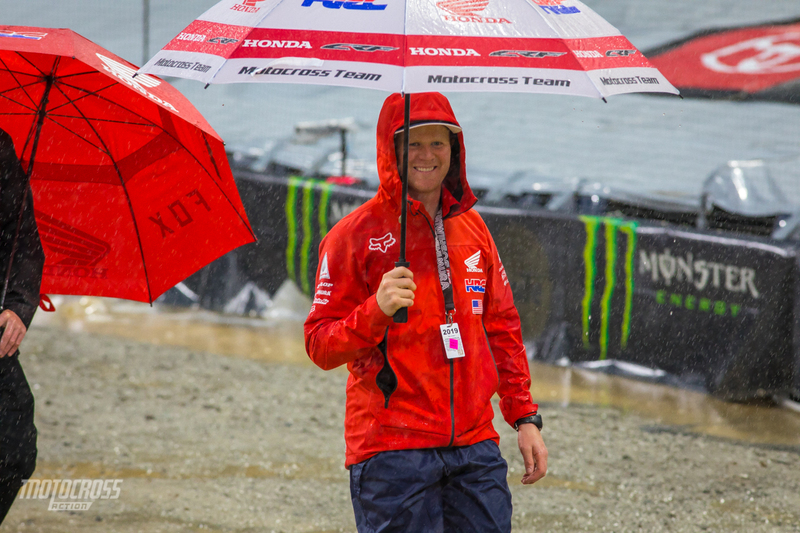 While attempting to start up Racing Standard, Trey Canard helped with the designing and building of the 2017 Red Bull Straight rhythm track. YOU ATTEMPTED TO SPEARHEAD A GROUP THAT WOULD WORK WITH EVERYONE TO IMPROVE RIDER SAFETY, BUT IT NEVER REALLY TOOK OFF DID IT? You know, I thought that there was a need, so I said “hey, I will do something,” especially when I first retired. I thought that other people felt the same way, and I think a lot of people do feel the same way. But you are exactly right, I hardly had any support. The general comment was you are never going to really do anything about it — and that is 100% correct. Not everyone is willing to be a part of that. I am not pointing that against anyone. I think that they are all doing their very best and their intentions are good, but I do think the riders need a representative and an advocate. Honestly, I was very discouraged by it, and I did not really know where to go from where I was. Trey was an official at the 2017 Red Bull Straight Rhythm with his radio slung over his shoulder and his Racing Standard shirt. IT SEEMS TO ME THAT THIS IS A GIANT MACHINE THAT KEEPS MOVING. IF ONE PERSON HAS AN IDEA IT’S DIFFICULT TO REALLY ADOPT IT. Yes, there was no power behind me. Maybe I had some good ideas, maybe I did not, but at least I was trying to help. It does not have to be Feld against AMA, or the riders. What it comes down to is communication, and hearing out what people need, and trying to accommodate that. In order to do that, the riders and the teams need some sort of power—and right now, they don’t have it. This is why I think what I was trying to do never really took off, because I have no way, and until there is some sort of way, I don’t know if anything will be able to get done. 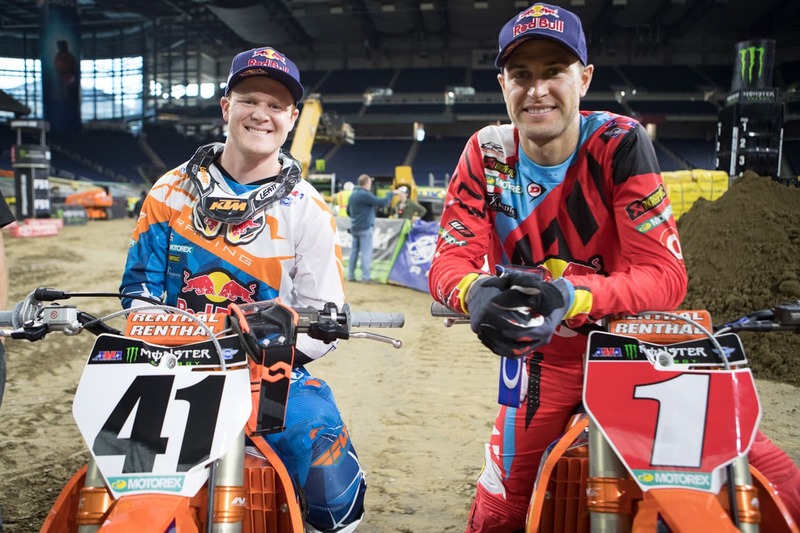 After spending his entire Pro career with Honda, Trey switched to Red Bull KTM and was teammates with Ryan Dungey for his final season of racing in 2017. LET’S SWITCH TO SOME OF THE COOL THINGS YOU HAVE GOING ON. YOU HAVE BEEN WORKING WITH TEAM HONDA RIGHT? Yes, when I first retired, Eric Kehoe (Team Manager) reached out to me and said, “Hey, we would like you to do this.” I was not too interested at the time. I had some injuries that I was dealing with and was not sure what my future was. I was really feeling pretty good about the direction with Racing Standard, but things fizzled out with that a little bit, and I started riding more. So, I thought, “hey, this might be a good idea.” Around August, I went and rode the bike, and it slowly kind of progressed. I really have enjoyed it, getting to ride again, and just being back in the community — this was one thing that I really missed. Being retired, you are away from a lot of people that you have learned to appreciate, and a lot of the friendships you made. So that has been really cool, and I have been learning a lot as far as trying to help some already great riders. I am really trying to be an asset to them and be someone that would help them rather than compete with them. It has been good. It has been really fun for me and I have enjoyed it. Trey was happy to sit next to his #1 plated Geico Honda. He earned the number one by winning the 2008 250 East Supercross Championship by ten points over Ryan Villopoto. HOW DO YOU TEST DIFFERENT SETTINGS OR COMPONENTS ON THE BIKES? If we start with eight things, I try to whittle it down to three. I Just try to get the best options possible, but it is difficult because everyone has a different feel, and different styles. Ken Roczen and Cole Seely are quite a bit different when it comes to the way that they like their bikes. I really try to give them the most information possible. The guys have very limited time as far as training, then resting, and being able to recover too. So, now I can wean through a lot of things, and try to help them as far as the next step with what they are asking for. YOU STILL LIVE IN OKLAHOMA, BUT YOU SPEND A LOT OF TIME IN CALIFORNIA AT THE HONDA TEST TRACK. DO YOU GO TO ALL OF THE RACES? I have been to three of the last five, and then I will start going every other weekend for a little bit. I am still trying to figure out that flow, being that I am retired. I don’t want to completely go to every single race. I have done that (going to every race) my whole life, so I am trying to find a good balance between being a good resource for those guys, and also being able to spend time with my family at home. Although he rode KTM during his final year of professional racing, most people think of Trey as a Honda guy. IF I UNDERSTAND CORRECTLY, YOU ARE STILL PRETTY FAST. WOULD YOU EVER DO ANY TYPE OF FILL-IN RIDE? (Laughing). Yes, I can still ride. Speed was never really my issue. I always seemed to be able to find that level where I am enjoying it. People ask me all the time if I want to go racing, and I think the answer is “no.” There is an idea that it would be fun, but at the end of the day, I enjoy riding, and that has been a lot of fun. I don’t have too much of a desire to go out there and try to win. That is what racing was about, trying to do my best, and I don’t have much of a desire for that. Now, it is more of enjoying riding, and whenever I reach the limit, I don’t need to go there. In certain scenarios you can push passed that, but it is not what I am really willing to do anymore. 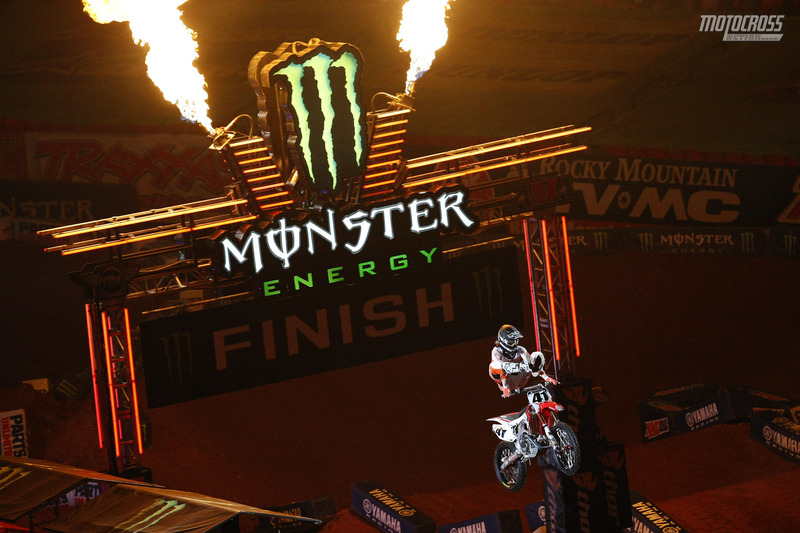 Trey Canard lights the opening ceremonies fireworks with a heel clicker in 2014. EXPANDING ON THAT, I AM NOT ENTIRELY SURE YOU REALLY WANTED TO RETIRE WHEN YOU DID, CAN YOU TELL US ABOUT YOUR DECISION? It was a bit of an internal struggle. I loved racing. It was a big loss, but I just had to take an inventory and see where I was. With the circumstances I was in, and had going on, I was not gaining too much. Overall, I had a great career, and it’s something I can be really thankful for. I think there comes a point in everyone’s career where you just don’t want to go out there and push through injuries or just be at the races every single weekend. That was where I was, and I think I made a good decision, I really do. I have a lot of peace about it, so I am okay with it. The problem was never not loving this or not wanting to ride. I always loved riding, but there are certain aspects of racing that are very difficult, and it’s something you have to be very committed too. 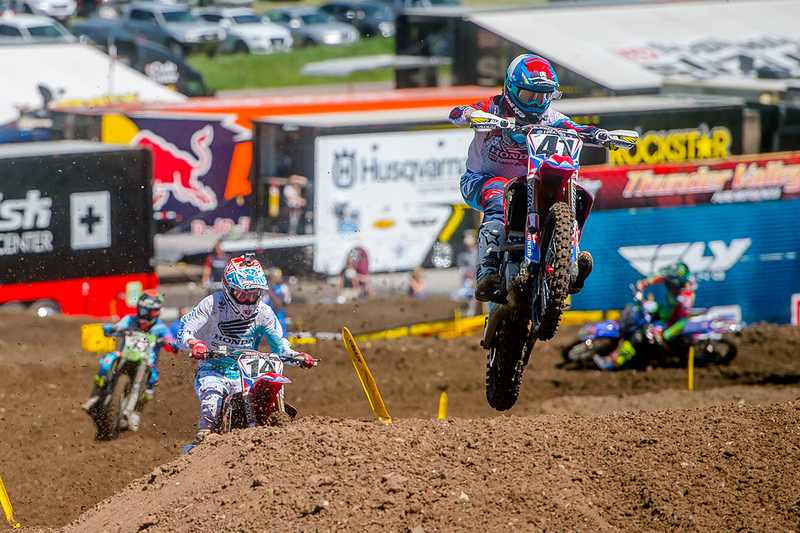 Trey leading his then teammate Cole Seely in 2016. Just a few years have gone by and instead of competing against Seely, Trey is now working to help his friend succeed. WHAT IS IT LIKE WORKING WITH KENNY AND COLE? THEY BOTH HAVE HAD SERIOUS INJURIES. DO YOU HELP THEM DEAL WITH IT MENTALLY? It is a very difficult spot to be in, coming back from an injury, especially one as significant as these guys have had. I really think Cole is going to make some good strides in the next few weeks, so I just try to be consistent with him. I think there is an internal struggle, but you almost have to put it behind you, and try not to dwell on it. I would say that it is a very difficult place to be, and actually there is a lot of people in our sport dealing with that. It is not just Kenny, Cole or me. I would say most riders have that experience, so it can definitely be difficult. I think the best thing I can do is just be consistent for them and try to be there for them when things are a struggle. 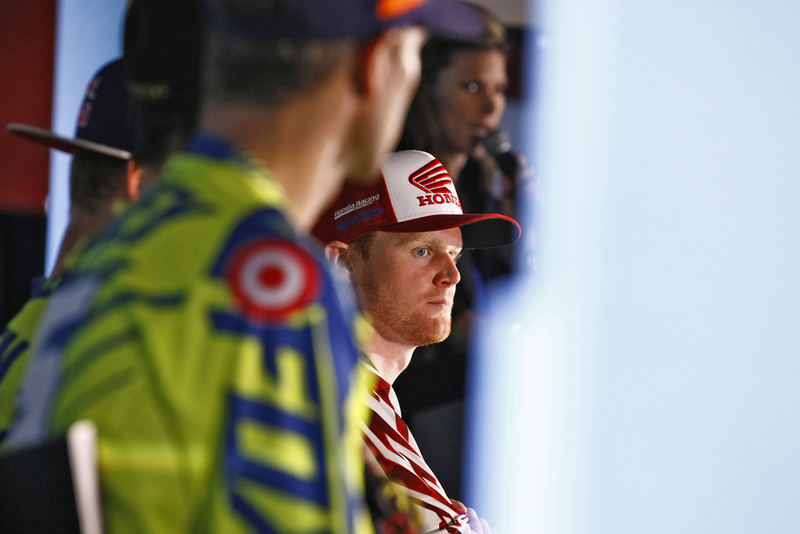 Trey Canard focused the Anaheim 1 press conference in 2015. LET ME ASK YOU ABOUT THE SUPERCROSS SEASON SO FAR. IS IT A CONSCIOUS DECISION THAT RIDERS ARE RIDING MORE CONSISTENTLY LIKE RYAN DUNGEY TO GAIN POINTS, OR IS IT SOMETHING ELSE? I think there are just a lot of really good guys, honestly that is my opinion. It seems like at any point, anyone can win. We have had six rounds and four different winners. I don’t think it is anyone making changes. It is hard to be as consistent as Ryan was. It was pretty incredible what he was trying to do as far as consistency. But right now, I really think that everyone is good, and everyone is capable of winning, so just to be in the top five is important, but it is hard to do that because everyone is really good. 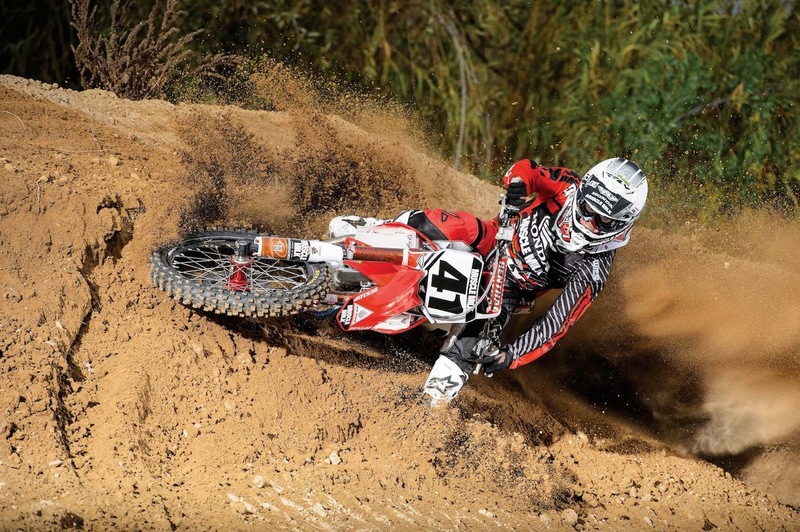 Trey destroying a berm at the 2015 Team Honda Muscle Milk photo shoot. ON THE A PERSONAL SIDE WHAT ELSE DO YOU HAVE GOING ON? It has been really good, and I’m still trying to figure all of that out. This has been good for me because it is something I know, and I am comfortable with, but there is another side of life too that is pretty difficult to figure out. We have never really participated in that normal world. I am learning a lot. I was able to do a lot of ministry camps this last summer and trying to be involved with them. I’m even on the board of the local non-profit church, so I have my hands in a few different places. I am trying to see where I fit the best and trying to learn a lot. This is a pretty cool time for me to grow a lot, try to understand what I really enjoy, what I love, and what the next chapter of my life is going to look like.